Matamata is a rural Waikato town in New Zealand with a population of around 12,000 (6,000 in rural areas, 6,000 in the township). It is located near the base of the Kaimai Ranges, and is a thriving farming area known for Thoroughbred horse breeding and training pursuits. It is part of the Matamata-Piako District, which takes in the surrounding rural areas as well as Morrinsville and Te Aroha. State Highway 27 and the Kinleith Branch railway run through the town. A nearby farm was the location for the Hobbiton set in Peter Jackson's Lord of the Rings film trilogy. 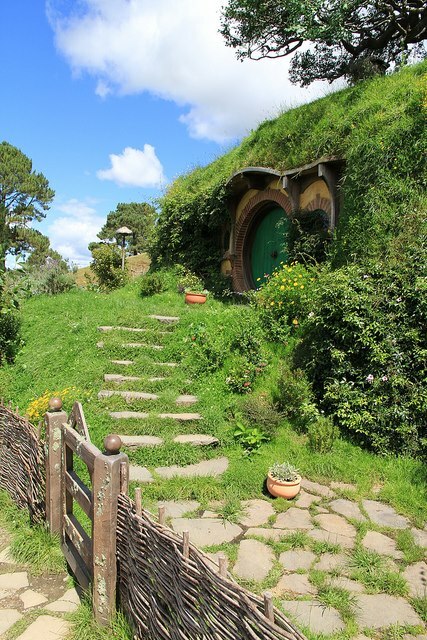 The New Zealand government decided to leave the Hobbit holes built on location as tourist attractions, since they were designed to blend seamlessly into the environment. During the interim period filming Return of the King and The Hobbit they had no furniture or props, but could be entered with vistas of the farm viewed from inside them. A "Welcome to Hobbiton" sign has been placed on the main road. In 2011 parts of Hobbiton began to close in preparation for two (later three) new movies based around the Lord of the Rings prequel novel The Hobbit.